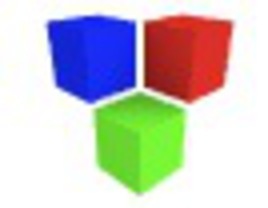 Cube Evolution is a UK-based software company that produces custom software and web designs. One of its products is a Web Content Management System, which allows individuals and companies to easily maintain their own websites. As originally designed, however, the CMS software was not secure. Any customer who purchased the system could easily see the source code and take any of the programming language, leaving the company vulnerable to software theft. Customers could also make changes to the code that could potentially cause the product to malfunction. This could have resulted in the company?s support department becoming overwhelmed with calls from users who had altered the program. SourceGuardian provided Cube Evolution with a solution that protects its CMS software from theft and alteration, while allowing customers to continue to license the product for easy use. In addition, SourceGuardian allows Cube Evolution to produce a demonstration version of its CMS software that will work for only a specified time, offering the company a way to promote its product without giving it away or exposing its programming. "I use SourceGuardian to encode the VisionGate Fusion software, which is currently used to power about 500 subscription-based membership websites. We looked at both SourceGuardian and ****, but considering that we have such a slim margin of profit, **** was simply out of our reach. SourceGuardian, in my opinion, works better than **** and costs much less, and we've always received prompt, polite service"